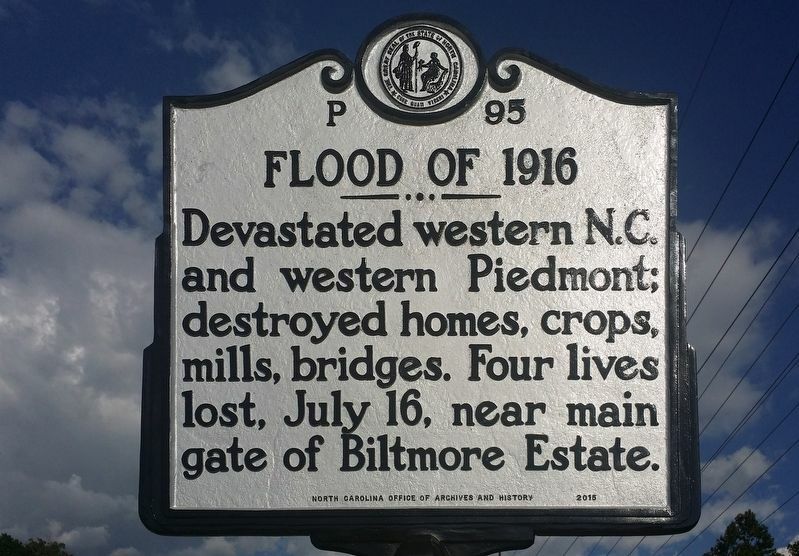 Devastated western N.C. and western Piedmont; destroyed homes, crops, mills, bridges. Four lives lost, July 16, near main gate of Biltmore Estate. Location. 35° 34.141′ N, 82° 32.65′ W. Marker is in Asheville, North Carolina, in Buncombe County. 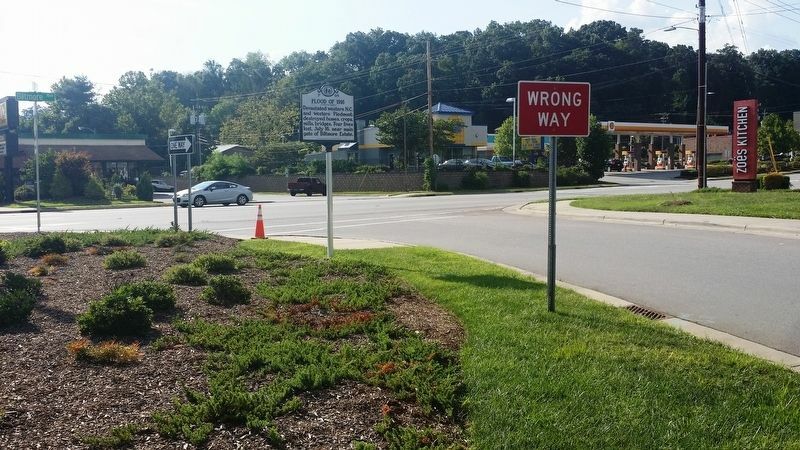 Marker is at the intersection of Swannanoa River Road (State Highway 81) and Biltmore Avenue, on the right when traveling east on Swannanoa River Road. Touch for map. Marker is in this post office area: Asheville NC 28803, United States of America. Touch for directions. Other nearby markers. At least 8 other markers are within walking distance of this marker. Biltmore House (about 700 feet away, measured in a direct line); The County of Buncombe (approx. 0.2 miles away); Rutherford Trace (approx. 0.3 miles away); Newton Academy (approx. half a mile away); Smith-McDowell House (approx. 0.6 miles away); St. Genevieve ~ Of ~ The ~ Pines (approx. 0.7 miles away); Asheville Normal School (approx. 0.7 miles away); Private George Avery (approx. 0.9 miles away). Touch for a list and map of all markers in Asheville. More. Search the internet for Flood of 1916. Credits. This page was last revised on September 7, 2016. This page originally submitted on September 7, 2016, by Michael C. Wilcox of Winston-Salem, North Carolina. This page has been viewed 193 times since then and 5 times this year. 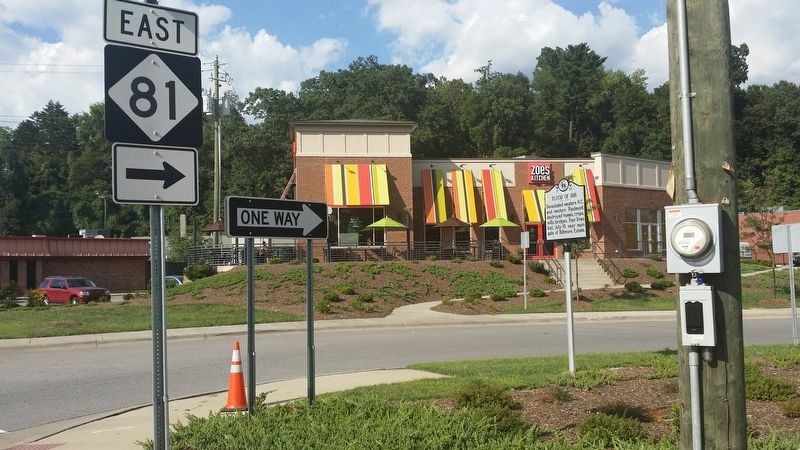 Photos: 1, 2, 3. submitted on September 7, 2016, by Michael C. Wilcox of Winston-Salem, North Carolina. • Bernard Fisher was the editor who published this page.